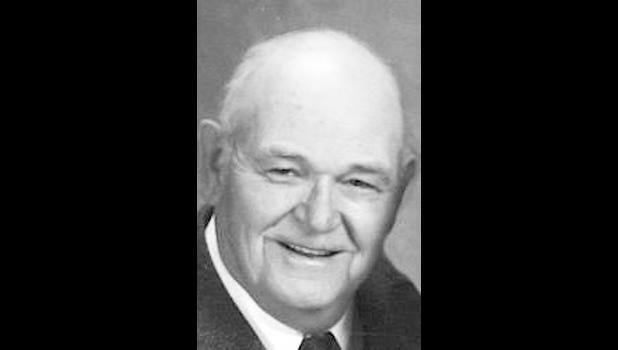 Glen K. Heston, 84, of Purdy, Mo., passed away Friday, Dec. 7, 2018 at Lacoba Nursing, Inc. in Monett, Mo. Glen was born to Glen E and Ruby (Manis) Heston on March 8, 1934, in St. Marys. He was united in marriage to Shirley Ray of Denison on May 6, 1956. To this union four children were born: Kenneth Heston (his wife Sue) of Purdy, Mo., Paul Heston of Purdy, Mo., Cindy Heston of Jenkins, Mo., and Debra Perrin (her husband Ben) of Topeka. Glen is survived by his children and their spouses; three granddaughters, Stephanie Cossey, Melanie Jacobs (her husband John) and Shelby Heston; and one great-grandson, Case Wyatt Cossey. He is also survived by two sisters, Rose Ann Corum (Roy) of Edwards, Mo., and Darlene Penrod (Loyd) of Topeka. Shirley preceded him in death on Aug. 29, 2008, after 52 years of marriage. Also preceding him in death were his parents; two brothers, Gene and Everett; two sisters, Gertie and Doris; and one grandson, Kenneth Lee Heston Jr.
Glen grew up in Kansas where he received his education. While in Kansas he worked at Santa Fe Shops, was a self-employed carpenter and worked for the State of Kansas. Thirty-seven years ago Glen moved his family to Barry County in Missouri, where he owned and operated Heston and Sons Litter Hauling, worked at Able II and Tysons. Later he raised chickens alongside his son and daughter-in-law, Ken and Sue. The family will receive friends from 6 p.m. until 8 p.m. Tuesday, Dec. 11, 2018, at Fohn Funeral Home in Cassville, Mo. Funeral services will be held at 11 a.m. Wednesday, Dec. 12 at Fohn Funeral Home in Cassville. Pastor Mark Bradshaw will conduct the services. Burial will be at Mt. Pleasant Cemetery in Butterfield, Mo. Contributions may be made to Mt. Pleasant Cemetery in memory of Glen. Visit www.fohnfuneralhome.com for online obituaries, guestbook and private condolences.